Even as stocks stumbled Monday, the SPDR Gold Shares (NYSEArca: GLD), the world’s largest gold ETF, and rival gold funds closed modestly, extending losses accrued over the past week. During that time, GLD is lower by more than 3%, a decline that is prompting some investors to reduce exposure to the bullion-backed ETF. Gold bulls in particular see momentum after the Federal Reserve officials hinted at a more dovish stance on interest rates for this year. According to Fed fund futures, options traders were betting on a 9% chance rates will fall this year and 91% are betting on an unchanged interest rate outlook. However, investors are embracing riskier assets, eschewing gold in the process. “The $33 billion SPDR Gold Shares ETF, or GLD, saw a net withdrawal of $496 million on Friday, the most in a single day since February 2018. That pushed the five-day total to $720 million, marking the fourth consecutive week of outflows,” reports Bloomberg. 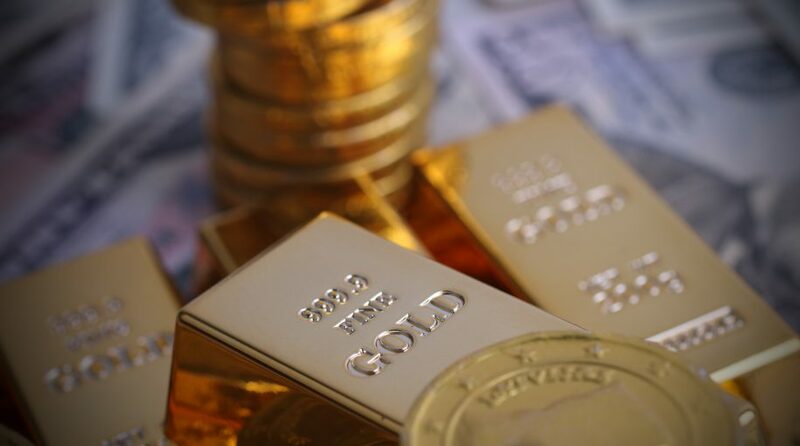 According to the World Gold Council, gold-backed exchange traded funds saw almost 72 tons of inflows in January, exceeding their total for all of 2018, as investors continued to dive into gold investments.